Melatonin abstracts from published scientific research and papers. The following is a collection of melatonin abstracts from published scientific research and papers. Integratedhealth.com has designed a melatonin supplement with melatonin research in mind. Melatonin in relation to cellular antioxidative defense mechanisms. Melatonin’s actions in organisms are more widespread than originally envisaged. Over three decades ago, the changing pattern of nocturnal melatonin production was found to be the signal for the annual cycle of reproduction in photoperiodic species. Since then, melatonin’s actions also have been linked to circadian rhythms, immune function, sleep, retinal physiology and endocrine functions in general. In recent years, however, the sphere of influence of melatonin was further expanded when the indole was found to be an effective free radical scavenger and antioxidant. Free radicals are toxic molecules, many being derived from oxygen, which are persistently produced and incessantly attack and damage molecules within cells; most frequently this damage is measured as peroxidized lipid products, carbonyl proteins, and DNA breakage or fragmentation. Collectively, the process of free radical damage to molecules is referred to as oxidative stress. Melatonin reduces oxidative stress by several means. Thus, the indole is an effective scavenger of both the highly toxic hydroxyl radical, produced by the 3 electron reduction of oxygen, and the peroxyl radical, which is generated during the oxidation of unsaturated lipids and which is sufficiently toxic to propagate lipid peroxidation. Additionally, melatonin may stimulate some important antioxidative enzymes, i.e., superoxide dismutase, glutathione peroxidase and glutathione reductase. In in vivo tests, melatonin in pharmacological doses has been found effective in reducing macromolecular damage that is a consequence of a variety of toxic agents, xenobiotics and experimental paradigms which induce free radical generation. In these studies, melatonin was found to significantly inhibit oxidative damage that is a consequence of paraquat toxicity, potassium cyanide administration, lipopolysaccharide treatment, kainic acid injection, carcinogen administration, carbon tetrachloride poisoning, etc., as well as reducing the oxidation of macromolecules that occurs during strenuous exercise or ischemia-reperfusion. In experimental models which are used to study neurodegenerative changes associated with Alzheimer’s and Parkinson disease, melatonin was found to be effective in reducing neuronal damage. Its lack of toxicity and the ease with which melatonin crosses morphophysiological barriers and enters subcellular compartments are essential features of this antioxidant. Thus far, most frequently pharmacological levels of melatonin have been used to combat oxygen toxicity. The role of physiological levels of melatonin, which are known to decrease with age, is being investigated as to their importance in the total antioxidative defense capacity of the organism. Institutional address: Department of Cellular and Structural Biology University of Texas Health Science Center USA. Pharmacological actions of melatonin in oxygen radical pathophysiology. Melatonin, the chief secretory product of the pineal gland, was recently found to be a free radical scavenger and antioxidant. This review briefly summarizes the published reports supporting this conclusion. Melatonin is believed to work via electron donation to directly detoxify free radicals such as the highly toxic hydroxyl radical. Additionally, in both in vitro and in vivo experiments, melatonin has been found to protect cells, tissues and organs against oxidative damage induced by a variety of free radical generating agents and processes, e.g., the carcinogen safrole, lipopolysaccharide, kainic acid, Fenton reagents, potassium cyanide, L-cysteine, excessive exercise, glutathione depletion, carbon tetrachloride, ischemia-reperfusion, MPTP, amyloid beta (25-35 amino acid residue) protein, and ionizing radiation. Melatonin as an antioxidant is effective in protecting nuclear DNA, membrane lipids and possibly cytosolic proteins from oxidative damage. Also, melatonin has been reported to alter the activities of enzymes which improve the total antioxidative defense capacity of the organism, i.e., superoxide dimutase, glutathione peroxidase, glutathione reductase, glucose-6-phosphate dehydrogenase, and nitric oxide synthase. Most studies have used pharmacological concentrations or doses of melatonin to protect against free radical damage; in a few studies physiological levels of the indole have been shown to be beneficial against oxidative stress. Melatonin’s function as a free radical scavenger and antioxidant is likely assisted by the ease with which it crosses morphophysiological barriers, e.g., the blood-brain barrier, and enters cells and subcellular compartments. Whether the quantity of melatonin produced in vertebrate species is sufficient to significantly influence the total antioxidative defense capacity of the organism remains unknown, but its pharmacological benefits seem assured considering the low toxicity of the molecule. Institutional address: Department of Cellular and Structural Biology University of Texas Health Science Center San Antonio 78284-7762 USA. Melatonin was recently reported to be an effective free radical scavenger and antioxidant. Melatonin is believed to scavenge the highly toxic hydroxyl radical, the peroxynitrite anion, and possibly the peroxyl radical. Also, secondarily, it reportedly scavenges the superoxide anion radical and it quenches singlet oxygen. Additionally, it stimulates mRNA levels for superoxide dismutase and the activities of glutathione peroxidase, glutathione reductase and glucose-6- phosphate dehydrogenase (all of which are antioxidative enzymes), thereby increasing its antioxidative capacity. Also, melatonin, at least at some sites, inhibits nitric oxide synthase, a pro-oxidative enzyme. In both in vivo and in vitro experiments melatonin has been shown to reduce lipid peroxidation and oxidative damage to nuclear DNA. While these effects have been observed primarily using pharmacological doses of melatonin, in a small number of experiments melatonin has been found to be physiologically relevant as an antioxidant as well. The efficacy of melatonin in inhibiting oxidative damage has been tested in a variety of neurological disease models where free radicals have been implicated as being in part causative of the condition. Thus, melatonin has been shown prophylactically to reduce amyloid beta protein toxicity of Alzheimer’s disease, to reduce oxidative damage in several models of Parkinson’s disease (dopamine auto-oxidation, 1-methyl-4-phenyl- 1,2,3,6- tetrahydropyridine and 6-hydroxydopamine), to protect against glutamate excitotoxicity, to reduce ischemia-reperfusion injury, to lower neural damage due to gamma-aminolevulinic acid (phorphyria), hyperbaric hyperoxia and a variety of neural toxins. Since endogenous melatonin levels fal 1 markedly in advanced age, the implication of these findings is that the loss of this antioxidant may contribute to the incidence or severity of some age-associated neurodegenerative diseases. Melatonin in relation to physiology in adult humans. The role exerted by melatonin in human physiology has not been completely ascertained. Melatonin levels have been measured in different physiopathological conditions, but the effects induced by melatonin administration or withdrawal have been tested only recently. Some effects have been clearly documented. Melatonin has hypothermic properties, and its nocturnal secretion generates about 40% of the amplitude of the circadian body temperature rhythm. Melatonin has sleep inducing properties, and exerts important activities in the regulation of circadian rhythms. Melatonin is capable of phase shifting human circadian rhythms, of entraining free- running circadian rhythms, and of antagonizing phase shifts induced by nighttime exposure to light. Its effect on human reproduction is not completely clear, but stimulatory effects on gonadotropin secretion have been reported in the follicular phase of the menstrual cycle. Direct actions on ovarian cells and spermatozoa have been also documented. Beside these, new important actions for melatonin may be proved. Melatonin may exert protective effects on the cardiovascular system, by reducing the risk of atherosclerosis and hypertension, and may influence immune responses. Finally, by acting as an antioxidant, melatonin could be important in slowing the processes of ageing. Institutional address: Institute of Obstetrics and Gynecology University of Modena Italy. Our objective was to evaluate the maternal-fetal transfer of melatonin in pregnant women. Serum melatonin concentration was measured by high- performance liquid chromatography with electrochemical detection in a maternal vein and in the umbilical artery and umbilical vein at the time of birth. Blood samples were obtained from 12 women who had spontaneously delivered vaginally at night. A single oral dose of melatonin was administered to each of 33 patients who underwent a cesarean section, and, blood samples were taken at 1, 2, 3, or 4 hr after the administration of melatonin at delivery. Cesarean section was performed between 1300 and 1500 hr. The mean melatonin concentrations of melatonin in maternal peripheral venous blood and umbilical arterial and umbilical venous blood did not differ significantly, and positive correlations in the serum levels of melatonin were observed between the three sources of blood. The oral administration of 3 mg of melatonin to pregnant women led to marked increases in the serum levels of melatonin, with maximum levels observed 2 hr (21.84 +/- 2.09 ng/ml) after drug administration. Changes in serum levels of melatonin in the umbilical vein and artery resembled those found in the maternal vein. Serum melatonin concentrations did not differ significantly between the maternal vein and the umbilical veins. Serum levels of melatonin in the umbilical vein after the administration of melatonin were significantly and closely correlated with those in the maternal vein (r = 0.924, P < 0.001). These results suggest that, in humans, melatonin is transferred from the maternal to the fetal circulation both easily and rapidly. A potential for the therapeutic use of melatonin as an antioxidant exists in the patients with preeclampsia. Institutional address: Department of Obstetrics and Gynecology Kochi Medical School Japan. The effect of melatonin on cleavage rate of C57BL/6 and CBA/Ca preimplantation embryos cultured in vitro. There is growing interest in using melatonin as a therapeutic agent for the treatment of a variety of medical conditions, including cancer, heart disease, glaucoma, stress, jet lag, and sleep disorders. In addition, melatonin is being evaluated in a clinical trial to test its efficacy as an oral contraceptive. In order to test any possible adverse effects of melatonin on preimplantation embryos, we used the mouse as a model system. Two strains of mice, a Ped fast, melatonin-deficient strain, C57BL/6, and a Ped slow strain previously found to have detectable melatonin levels at nighttime, CBA/Ca, were studied. Two cell embryos were incubated with melatonin concentrations from 10(-5) M to 10(-13) M for 48 or 72 hours and the number of cells per embryo assessed quantitatively at the end of the incubation period. We used sufficiently high levels of melatonin to mimic the pharmacological concentration used in the oral contraceptive. It was found that there was no effect of melatonin on embryos from either mouse strain at any of the concentrations tested. Our results suggest that if conception occurs while melatonin is being administered to treat a range of conditions, it would not adversely affect the embryo. Institutional address: Department of Biology Northeastern University Boston MA 02115 USA. Melatonin increases gene expression for antioxidant enzymes in rat brain cortex. During the last years several reports have demonstrated that melatonin is a efficient free radical scavenger and general antioxidant. In addition, it has been shown that this neurohormone is able to increase the activity of glutathione peroxidase in rat brain cortex as well as the gene expression for some antioxidant enzymes in the Harderian gland of female Syrian hamster. 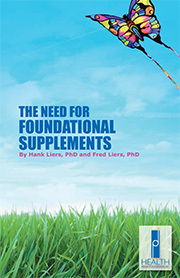 Also, it is well known that brain cells are particularly exposed to free radicals, with antioxidant enzymes as the major defense mechanism that the brain uses to neutralize reactive oxygen species. The aim of the present study was to examine the influence of melatonin on gene expression for antioxidant enzymes in rat brain cortex. Our results clearly demonstrate that exogenously administered melatonin increases the levels of mRNA for glutathione peroxidase, copper-zinc superoxide dismutase, and manganese superoxide dismutase in this tissue. These stimulatory effects are observed after both acute and chronic treatment with this hormone, producing in the latter case the more marked increase. We therefore conclude that melatonin exerts an important role in providing indirect protection against free radical injury by stimulating gene expression for antioxidant enzymes. Consequently, melatonin could be considered as a potential therapeutic agent in some age-related neurodegenerative diseases where excessive free radical production has been implicated. Oxidative processes and antioxidative defense mechanisms in the aging brain. The debilitating consequences of age-related brain deterioration are widespread and extremely costly in terms of quality of life and longevity. One of the potential major causes of age-related destruction of neuronal tissue is toxic free radicals that are a natural result of aerobic metabolism. The brain is particularly susceptible to free radical attack because it generates more of these toxicants per gram of tissue than does any other organ. The major defense mechanisms the brain uses to combat reducing equivalents is via their enzymatic metabolism. The vitamin antioxidants, vitamin E (alpha-tocopherol in particular) and vitamin C (ascorbate), also aid in protecting the brain from oxidative stress by directly scavenging toxic radicals. A newly discovered, potentially highly important antioxidant in the brain is the indole melatonin. The pineal hormone melatonin is rapidly taken up by the brain. In vitro melatonin is more effective than glutathione in scavenging the highly toxic hydroxyl radical and also more efficient than vitamin E in neutralizing the peroxyl radical. Furthermore, it stimulates the main antioxidant enzyme of the brain, glutathione peroxidase. In vivo melatonin is a potent antioxidant and it lacks prooxidant actions. DNA single-strand breakage and activation of the nuclear enzyme poly (ADP-ribose) synthetase (PARS) triggers an energy-consuming, inefficient repair cycle, which contributes to peroxynitrite-induced cellular injury. Recently it was proposed that zymosan, a non- bacterial agent, causes cellular injury by inducing the production of peroxynitrite and consequent PARS activation. Here we investigated whether in vivo melatonin treatment inhibits cellular injury induced by peroxynitrite production and PARS activation in macrophages collected from rats subjected to zymosan-induced shock. Macrophages harvested from the peritoneal cavity exhibited a significant production of peroxynitrite, as measured by the oxidation of the fluorescent dye dihydrorhodamine 123. Furthermore, zymosan-induced shock caused a suppression of macrophage mitochondrial respiration, DNA strand breakage, activation of PARS and reduction of cellular levels of NAD+. In vivo treatment with melatonin (25 and 50 mg/kg, intraperitoneally, 1 hr after zymosan injection) significantly reduced in dose-dependent manner peroxynitrite formation and prevented the appearance of DNA damage, the decrease in mitochondrial respiration, the loss of cellular levels of NAD+, and the PARS activation. Our study supports the view that the antioxidant and antiinflammatory effect of melatonin is also correlated with the inhibition of peroxynitrite production and PARS activation. In conclusion, melatonin may be a novel pharmacological approach to prevent cell injury in inflammation. Melatonin is a scavenger of peroxynitrite. Peroxynitrite is a toxic oxidant formed from the reaction of superoxide and nitric oxide under conditions of inflammation and oxidant stress. Here we demonstrate that the pineal neurohormone melatonin inhibits peroxynitrite-mediated oxidant processes. Melatonin caused a dose-dependent inhibition of the oxidation of dihydrorhodamine 123 to rhodamine in vitro. Moreover, in cultured J774 macrophages, melatonin inhibited the development of DNA single strand breakage in response to peroxynitrite and reduced the suppression of mitochondrial respiration. Thus, melatonin appears to be a scavenger of peroxynitrite. This action may contribute to the antioxidant and antiinflammatory effects of melatonin in various pathophysiological conditions. Mechanism of the inhibitory effect of melatonin on tumor necrosis factor production in vivo and in vitro. Melatonin is an antioxidant. Since other antioxidants inhibit the production of tumor necrosis factor (TNF) induced by lipopolysaccharide, we investigated its effect on TNF production in vivo and in vitro and on lethality associated with endotoxic shock. Administration of melatonin to mice (5 mg/kg, s.c., 30 min before or simultaneously with lipopolysaccharide) inhibited serum TNF levels by 50-80% and improved survival of mice treated with a lethal dose of lipopolysaccharide. By studying other, structurally related, indolamines (N-acetyl-5-hydroxytryptamine, 5-methoxytryptamine and 5- hydroxytryptamine) we found a good correlation between antioxidant activity (for which the 5-methoxy group is essential) and the inhibition of TNF production in vivo and in vitro in mononuclear cells. Melatonin did not increase serum corticosterone and did not modify the elevation of serum corticosterone levels by lipopolysaccharide or by interleukin-1. Furthermore, it exerted its inhibitory effect in adrenalectomized or hypophysectomized mice also, indicating that its effect is independent of the hypothalamus- pituitary-adrenal axis. Institutional address: Laboratory of Neuroimmunology Istituto di Ricerche Farmacologiche Mario Negri Milan Italy. We have studied the effect of the administration of two doses of melatonin (melatonin 100 and melatonin 200 microg/kg bw) on diabetes and oxidative stress experimentally induced by the injection of streptozotocin (STZ) in female Wistar rats. STZ was injected as a single dose (60 mg/kg i.p. in buffered citrate solution, pH 4.0) and melatonin (melatonin 100, 100 microg/kg/day i.p. ; melatonin 200, 200 microg/kg/day i.p.) beginning 3 days before diabetes induction and continuing until the end of the study (8 weeks). The parameters analysed to evaluate oxidative stress and the diabetic state were a) for oxidative stress, changes of lipoperoxides (i.e., malondialdehyde, MDA) in plasma and erythrocytes and the changes in reduced glutathione (GSH) in erythrocytes and b) for diabetes, changes in glycemia, lipids (triglycerides: TG; total cholesterol: TC; HDL-cholesterol, HDL-c), percentage of glycosylated hemoglobin (Hb%), and plasma fructosamine. The injection of STZ caused significant increases in the levels of glycemia, percentage of glycosylated hemoglobin, fructosamine, cholesterol, triglycerides, and lipoperoxides in plasma and erythrocytes, whereas it decreased the levels of HDL-c and the GSH content in erythrocytes. The melatonin 100 dose reduced significantly all these increases, except the percentage of glycosylated hemoglobin. With regard to the decreases of plasma HDL-c and GSH content in erythrocytes, this melatonin dose returned them to normal levels. The melatonin 200 dose produced similar changes, though the effects were especially noticeable in the decrease of glycemia (55% vs. diabetes), percentage of hemoglobin (P < 0.001 vs diabetes), and fructosamine (31% vs. diabetes). This dose also reversed the decreases of HDL-c and GSH in erythrocytes. Both doses of melatonin caused significant reduction of the percentage of glycosylated hemoglobin in those groups that were non-diabetic. These illustrate the protective effect of melatonin against oxidative stress and the severity of diabetes induced by STZ. In particular, this study confirms two facts: 1) the powerful antioxidant action of this pineal indole and 2) the importance of the severity of oxidative stress to maintain hyperglycemia and protein glycosylation, two pathogenetic cornerstones indicative of diabetic complications. Melatonin reduces remarkably the degree of lipoperoxidation, hyperglycemia, and protein glycosylation, which gives hope to a promising perspective of this product, together with other biological antioxidants, in the treatment of diabetic complications where oxidative stress, either in a high or in a low degree, is present. Institutional address: Departamento de Bioquimica y Biologia Molecular School of Medicine-The University of Cordoba Spain. Melatonin prevents apoptosis induced by 6-hydroxydopamine in neuronal cells: implications for Parkinson’s disease. It was recently reported that low doses of 6-hydroxydopamine (6-OHDA) induce apoptosis of naive (undifferentiated) and neuronal (differentiated) PC12 cells, and this system has been proposed as an adequate experimental model for the study of Parkinson’s disease. The mechanism by which this neurotoxin damages cells is via the production of free radicals. Given that the neurohormone melatonin has been reported 1) to be a highly effective endogenous free radical scavenger, 2) to increase the mRNA levels and the activity of several antioxidant enzymes, and 3) to inhibit apoptosis in other tissues, we have studied the ability of melatonin to prevent the programmed cell death induced by 6-OHDA in PC12 cells. We found that melatonin prevents the apoptosis caused by 6-OHDA in naive and neuronal PC12 cells as estimated by 1) cell viability assays, 2) counting of the number of apoptotic cells, and 3) analysis and quantification of DNA fragmentation. Exploration of the mechanisms used by melatonin to reduce programmed cell death revealed that this chemical mediator prevents the 6-OHDA induced reduction of mRNAs for several antioxidant enzymes. The possibility that melatonin utilized additional mechanisms to prevent apoptosis of these cells is also discussed. Since this endogenous agent has no known side effects and readily crosses the blood-brain-barrier, we consider melatonin to have a high clinical potential in the treatment of Parkinson’s disease and possibly other neurodegenerative diseases, although more research on the mechanisms is yet to be done. Institutional address: Departamento de Morfologia y Biologia Celular Universidad de Oviedo Spain. This review summarizes the present knowledge on melatonin in several areas on physiology and discusses various prospects of its clinical utilization. Ever increasing evidence indicates that melatonin has an immuno-hematopoietic role. In animal studies, melatonin provided protection against gram-negative septic shock, prevented stress- induced immunodepression, and restored immune function after a hemorrhagic shock. In human studies, melatonin amplified the antitumoral activity of interleukin-2. Melatonin has been proven as a powerful cytostatic drug in vitro as well as in vivo. In the human clinical field, melatonin appears to be a promising agent either as a diagnostic or prognostic marker of neoplastic diseases or as a compound used either alone or in combination with the standard cancer treatment. Utilization of melatonin for treatment of rhythm disorders, such as those manifested in jet lag, shift work or blindness, is one of the oldest and the most successful clinical application of this chemical. Low doses of melatonin applied in controlled-release preparation were very effective in improving the sleep latency, increasing the sleep efficiency and rising sleep quality scores in elderly, melatonin- deficient insomniacs. In the cardiovascular system, melatonin seems to regulate the tone of cerebral arteries; melatonin receptors in vascular beds appear to participate in the regulation of body temperature. Heat loss may be the principal mechanism in the initiation of sleepiness caused by melatonin. The role of melatonin in the development of migraine headaches is at present uncertain but more research could result in new ways of treatment. Melatonin is the major messenger of light- dependent periodicity, implicated in the seasonal reproduction of animals and pubertal development in humans. Multiple receptor sites detected in brain and gonadal tissues of birds and mammals of both sexes indicate that melatonin exerts a direct effect on the vertebrate reproductive organs. In a clinical study, melatonin has been used successfully as an effective female contraceptive with little side effects. Melatonin is one of the most powerful scavengers of free radicals. Because it easily penetrates the blood-brain barrier, this antioxidant may, in the future, be used for the treatment of Alzheimer’s and Parkinson’s diseases, stroke, nitric oxide, neurotoxicity and hyperbaric oxygen exposure. In the digestive tract, melatonin reduced the incidence and severity of gastric ulcers and prevented severe symptoms of colitis, such as mucosal lesions and diarrhea. Institutional address: Department of Zoology University of Guelph Ont. Canada. N-acetyl-serotonin (normelatonin) and melatonin protect neurons against oxidative challenges and suppress the activity of the transcription factor NF-kappaB. It is now well established that the formation of free radicals and oxidative stress-induced neuronal cell death can be involved in various neurodegenerative disorders, including Alzheimer’s disease and Parkinson’s disease. The pineal hormone melatonin has been suggested to be a neuroprotective antioxidant. To better understand the molecular mechanism of this activity, we compared the ability of melatonin and its precursor, N-acetyl-serotonin (normelatonin), to protect human neuroblastoma SK-N-MC cells and primary cerebellar granular neurons against oxidative stress. We found that normelatonin and melatonin have differential neuroprotective effects depending on the neuronal cell type. Normelatonin was more protective against hydrogen peroxide (H2O2) and glutamate-induced cell death in SK-N-MC cells compared to melatonin which was more effective to protect primary cerebellar granular neurons against the toxicity of H2O2, glutamate and N-methyl-D-aspartate when compared to normelatonin. At the molecular level, we tested the capacity of normelatonin and melatonin to inhibit the oxidative stress-induced NF-kappaB activation in both neuronal systems. Whereas normelatonin was more potent in the suppression of the activation of NF-kappaB by H2O2 in SK-N-MC cells compared to melatonin, no apparent differences in the extent of suppression could be detected in primary neurons. Normelatonin’s and melatonin’s neuroprotective activity in SK-N-MC neuroblastoma cells may be mediated by the suppression of NF-kappaB activation. Institutional address: Max-Planck-Institute of Psychiatry Munich Germany. 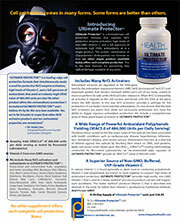 Stay current with Health Products Distributors health news and sales! Never miss a special promotion!